Mila Thomas Fuller, EDD • Single Seed Enrichment School Inc.
Mila Thomas Fuller, Ed.D., is an innovative ed tech leader with expertise in instructional technology from strategy through to implementation. She has nearly two decades of experience in learning and teaching with technology through her work with associations, districts, schools and universities. In her current role as assistant director of online learning for the University of Illinois at Urbana-Champaign College of Education, Fuller works to develop strategy, promote and coordinate the delivery of online, distance and blended education offerings. Additionally, she collaborates with the college’s online learning stakeholders and service providers. Fuller is also an adjunct professor in the University of Maryland at University College instructional technology master’s degree program. Her higher education work also includes developing and teaching an education technology specialization course titled “Digital Age Technology and Instruction” for Johns Hopkins University’s education doctoral degree program. 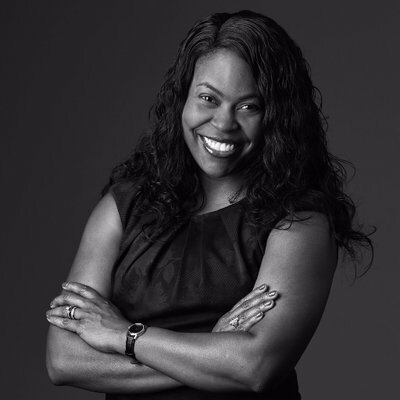 Fuller holds a doctoral degree in instructional technology from Towson University, master’s in leadership in teaching, with a specialty in administration and supervision, from Notre Dame University of Maryland, and a bachelor’s degree in advertising from the University of Illinois at Urbana-Champaign. Her doctoral dissertation focused on the impact of digital and paper-based graphic organizers on students’ persuasive writing process. She’s also done research into the impact of school administrator support on the integration of technology into schools, relationships between community and student success in online learning, and addressing digital equity. Fuller is a current governing board member for UNESCO MGIEP, past president of the Champaign Urbana Schools Foundation Board, serves on the District Technology Planning Committee for Champaign Unit Four School District, is the technology task for chair for Delta Sigma Theta Sorority Champaign-Urbana Alumnae Chapter, and is a member of the EdNET Advisory Board. She is also a past president of ISTE affiliate Maryland Society of Educational Technology. In 2008, she received ISTE’s Making IT Happen Award. Long active in the association community and association leadership, Fuller is a member of the American Society for Association Executives, is a Certified Association Executive (CAE), has been recognized as a Diversity Executive Leadership Program (DELP) scholar, and is President-Elect of the International Society for Technology in Education.